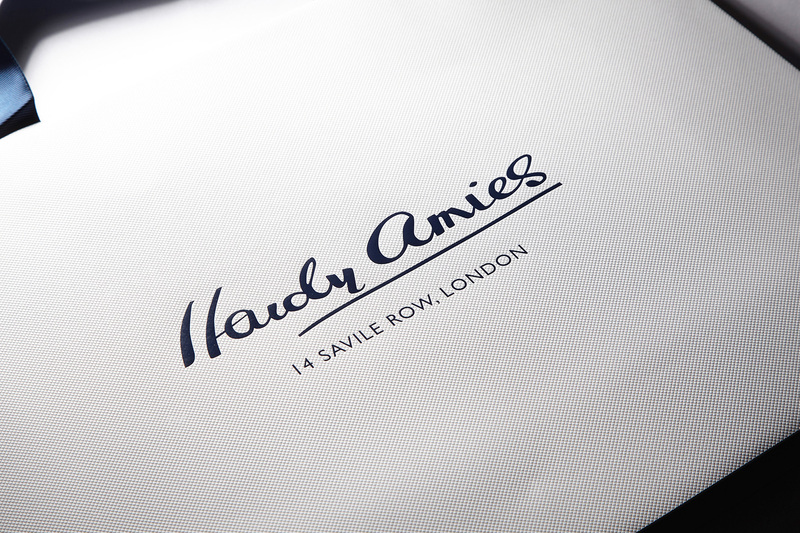 Although probably best known as the official dressmaker for Queen Elizabeth II, Hardy Amies has been an established name on London’s prestigious Savile Row since 1946. Helping to extend the brands retail reach overseas, Progress, alongside designers J&J London, created a collection of bags and suit carriers for the brand’s concession in the Printemps department store in Paris. 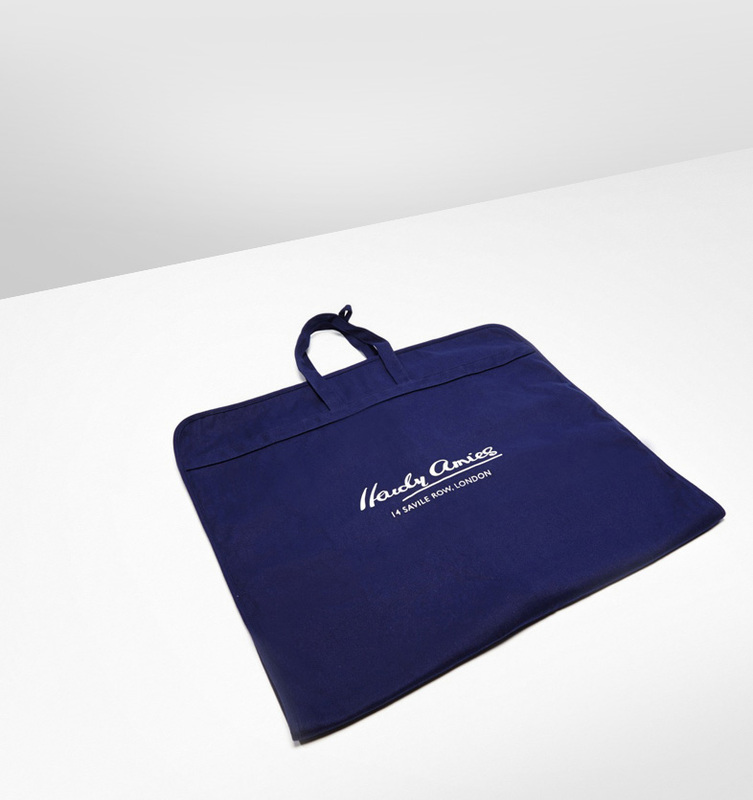 The suit carriers were manufactured from 12 oz custom dyed canvas and screen printed with their iconic logo on the outer. To access to the inner, a zip was incorporated, along with two press-studs to help secure the closures. 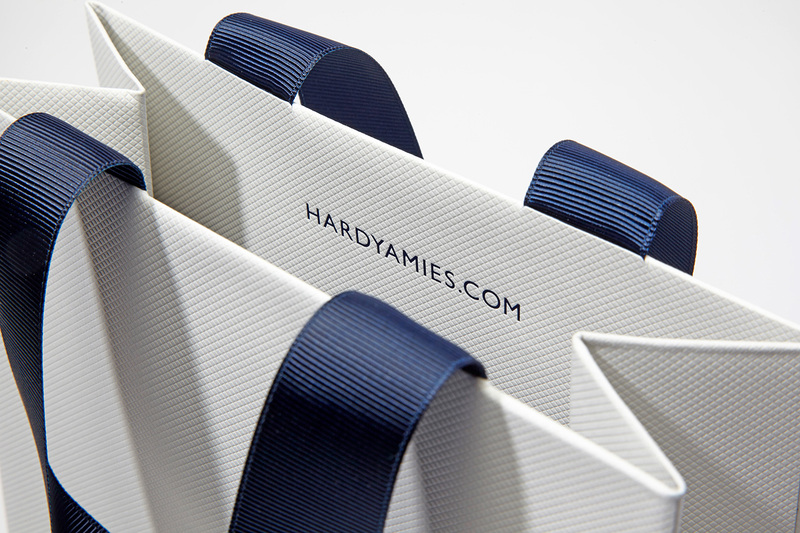 To enhance the brands’ unique yet classic approach, we used embossed, custom dyed papers to create three sizes of retail carrier bags which were white on the outside and lined with blue – all with custom dyed grosgrain ribbon handles. 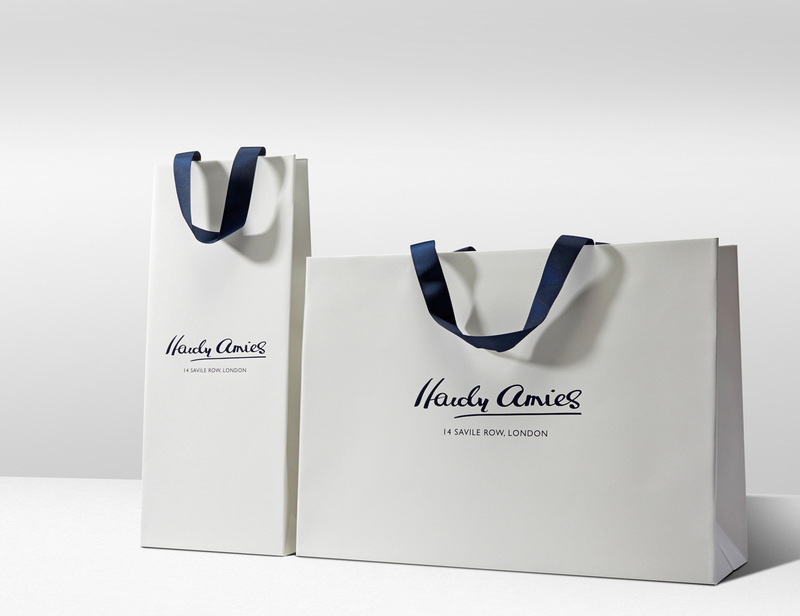 The identity and branding was foiled one colour to both sides, as well as discreetly yet elegantly on the return tops of the bags.